John Truck was to outward appearances just another lowlife spaceship captain. But he was also the last of the Centaurans ' or at least, half of him was ' which meant that he was the only person who could operate the Centauri Device, a sentient bomb which might hold the key to settling a vicious space war. 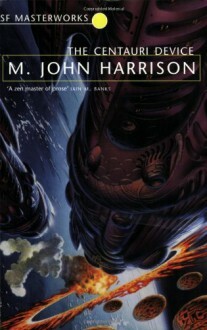 M. John Harrison's classic novel turns the conventions of space opera on their head, and is written with the precision and brilliance for which is famed.